The subsequent description refers to the EST Crash Buffer G1 (for freight wagons and locomotives) in accordance with UIC 526-1. The description similarly applies for the R1 versions (for passenger carriages, in accordance with UIC 528) and X1 versions (diagonal buffer variant for ultra-low truck hauling wagons and short coupled freight wagons) of the EST Crash Buffer. The EST Crash Buffer combines a standard side buffer for railway vehicles and an energy absorbing deformation element into a single component. It is its unique feature that the additional function, as a deformation element, is integrated into the casing of the side buffer, so that no additional space is required, not even after deformation has been deployed. 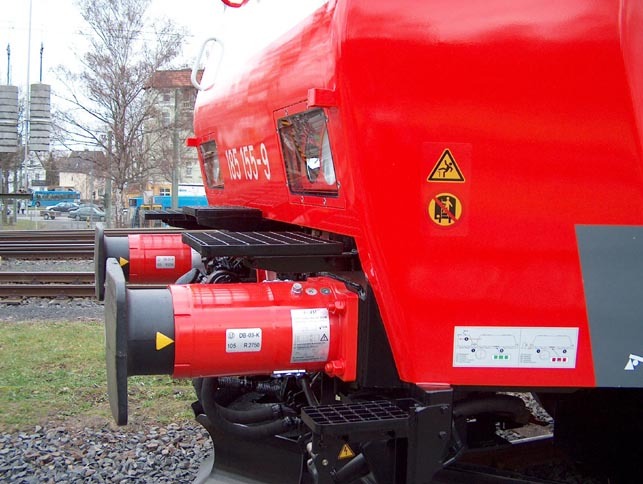 The external dimensions and attachment flange of the EST Crash Buffer are identical with those of a standard side buffer complying with the rail industry standard UIC 526-1. Therefore, the EST Crash Buffer can be mounted to all vehicles that have been designed for standard side buffers in accordance with this standard. It can be used for the protection of high capital cost modern railway vehicles, as well as a retro-fit onto existing older railway stock where enhanced protection is desired. 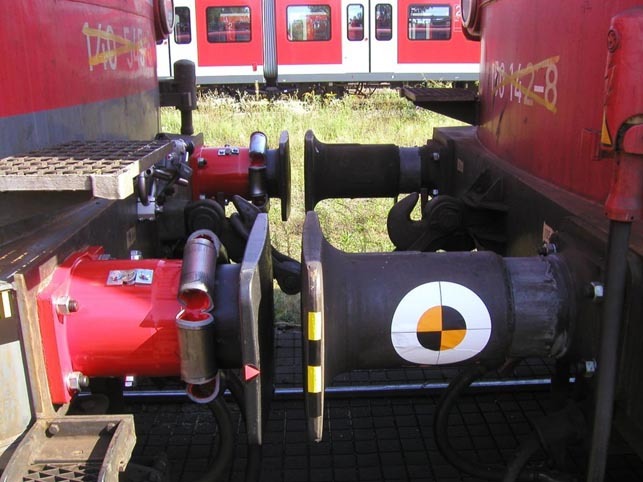 The EST Crash Buffer mounted onto a locomotive Class BR 185.1 of DB. The deformable casing here is highlighted with red livery. The yellow triangular arrow/marker serves to indicate the trigger release. The EST Crash Buffer (on the left) after a crash test with two locomotives. Clearly visible is the deformation of the buffer casing by splitting and curling.